This is the start of a Cream Of The Crop Pattern Blast! 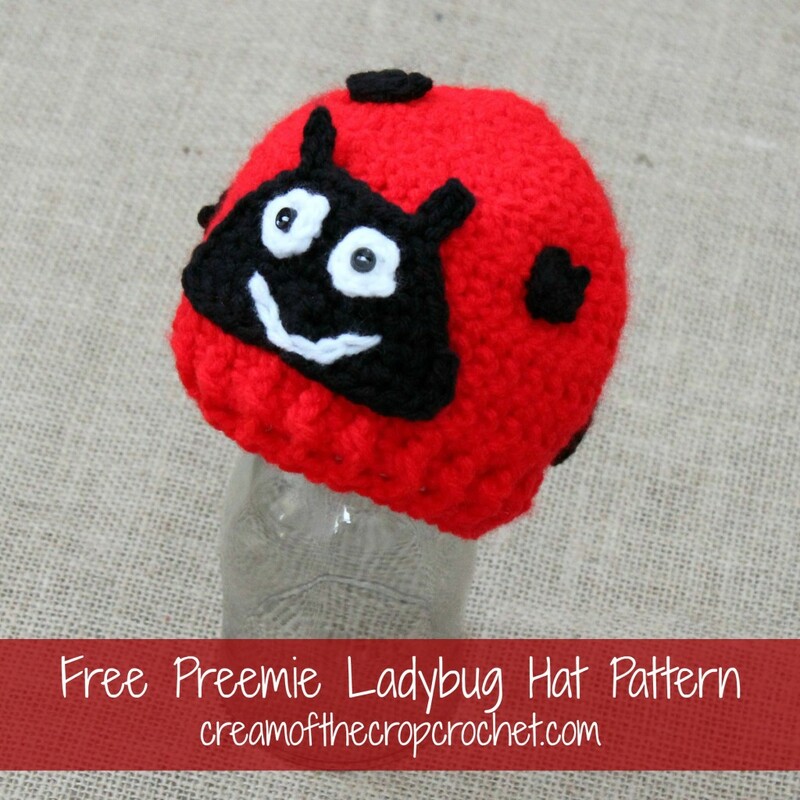 This adorable little Preemie/Newborn Ladybug Hats pattern would look cute on any little girl in the NICU! Make one in an hour and a half or less! 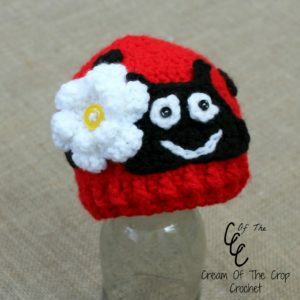 I know an hour and a half sounds like a lot of time, but to make a detailed hat like this its not. What could be better than an adorable crochet ladybug hat? With white yarn and a yarn needle. Attach eyes towards the top of the face. With extra small black buttons, white thread, and a small needle. Attach the buttons of top of the white eye. Make sure it is very secure, and tie both ends together. surface crochet an upside down rainbow just below the eyes.